Our rice miso is blended with sea vegetables to make our deliciously light and classic Instant Miso Soup, packed with flavour. 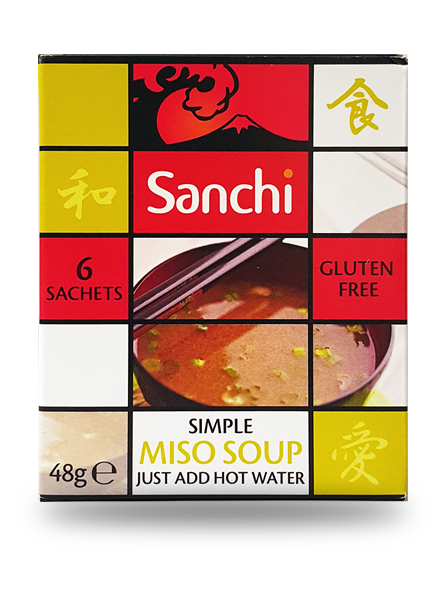 With no thickeners or binding agents our Miso Soup is delicious and perfectly natural. Genmai Miso (made from aged and fermented Soya Beans, Brown Rice, Sea Salt, Koji (aspergillus oryzae)), Sweet Potato Dextrin, Dried Leeks, Sea Vegetables (Wakame and Kombu Powder).